Which trading platform are you going to be using? Which financial assets are you going to be trading? What affects the market prices of your chosen assets? What trading budget are you going to be working with? What resources can assist in your trading activity? Of course, there are many other questions that you will need to consider when you begin trading. The trading platform of your choice should be one that is credible, offers transparency, and low spreads. Whether you are trading CFDs (commodities, currencies, indices, stocks or treasuries) or Forex, you will always want to work with a regulated brokerage that offers you recourse in the event of nonpayment, anomalies, or problems. The trading platform you choose should be fully registered, licensed and regulated to offer real money trading in your jurisdiction. Many operators currently offer their services beyond their jurisdiction. If you’re going to be investing your hard-earned money with a trading platform, ensure that they have FCA (Financial Conduct Authority) licensing, CySEC (Cyprus Securities Exchange Commission) licensing and regulation, ASIC, or other reputable licensing. If possible, it is always preferable to use a brokerage that offers you demo trading options. When you trade on a demo account, the broker typically provides practice trading funds which you can use to test your trading tactics and strategies on your chosen assets. On the topic of assets, you will want to pay attention to where you invest your money. Stocks, commodities, indices, currencies or cryptocurrency are all available to you when you trade from home. It is not necessary to frequent land-based brokers to invest your funds in financial assets. Mobile trading options provide maximum convenience, cost-effectiveness, and variety. Expert traders recommend that you pick a financial asset that you understand such as a currency, a commodity, an index or a stock. Examples include the USD, GBP, or EUR, gold, silver, the FTSE 100 index, Google, Twitter, Amazon etc. The precise allocation of funds towards each financial asset depends on your available budget. Never trade with more money than you have available in your bankroll. Financial trading gurus advise novices and intermediate-level traders to use specific credit cards or debit cards for trading purposes. That way, you will not mix household expenses with trading expenses, and you will be able to keep a close tab on your budget allocation towards your trading endeavours. On the topic of budget allocations, it is preferable to limit each trade to know more than 1% of your available bankroll. As you become more adept at trading, you may be able to increase that allocation to 2% of your available bankroll. Be advised that budgetary constraints are necessary to protect you from sudden market changes. Volatility is an inherent component of financial markets, and the only way to protect your investment is by spreading it across as many different trades as possible. As a newbie trader, or an intermediate-level trader you can always benefit from the know-how of experienced traders. It’s not only about what you trade, or how you trade; it’s also about reading macroeconomic variables such as interest rates, nonfarm payroll data, gross domestic product, inflation rates, changes to monetary or fiscal policy etc. 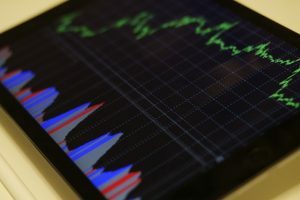 Experienced traders know which assets and asset categories are likely to move given an imminent economic data release. Pay attention to speculative activity, notably shifting capital from equities to commodities (from stocks to gold or Bitcoin) as this could signal the beginning of a reversal.